In today’s wealth management industry time is money. Sevens Report helps you save time by providing independent research that cuts through the noise and allows you to focus more time on your clients and growing your business. We take complex macro-economic concepts (Chinese economic developments, implication of rising interest rates, GDP reports, FOMC statements, etc.) and tell you: 1) What you need to know, 2) Why it’s important, and 3) How it will move markets. We watch macro indicators to identify tactical opportunities across asset classes that can help you outperform. We focus on medium-term opportunities for tactical investment accounts and look for the big trend changes that can offer months of outperformance. Thousands of successful advisors use Sevens Report to stay ahead of the markets. Armed with our daily research, they ensure their clients are well positioned and well ahead of any financial storm that may blow up – giving investors the best opportunity to outperform. 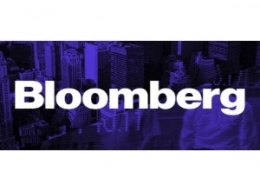 Tyler Richey quoted in Bloomberg on April 22, 2019. “It’s been made clear that Trump is very serious about enforcement of the sanctions..."
Tyler Richey Quoted in MarketWatch on April 19, 2019. The $33 billion deal “refocused the energy markets on the U.S. shale industry…and Russia took notice as the nation’s finance minister..."
Tyler Richey Quoted in Barron's on April 18, 2019. The $33 billion deal “refocused the energy markets on the U.S. shale industry...and Russia took notice as the nation’s finance minister..."
Tyler Richey Quoted in Bloomberg on on April 12, 2019. “There’s not many people who are willing to short this market. We could be near a market top..."
"Thanks for your continued insight; it has saved my clients over $2M USD... Keep up the great work!" Start your zero risk, 2-week trial of Sevens Report today. Enter your email address. No credit card required.